We’ve got enough distance from the No Man’s Sky launch that I think it’s safe to be excited about what Hello Games is working on next. The Last Campfire, announced at The Game Awards, is a smaller title billed as a ‘Hello Games Short,’ but it’s not the only project the company is working on. The studio has begun development on its next big project, too. 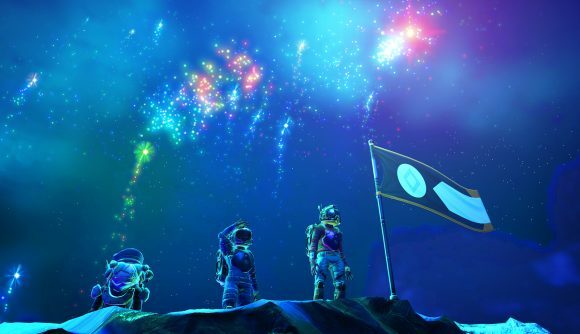 It’ll likely be quite a while before we hear more about that new project, given the studio’s size and the fact that the developers are still working on The Last Campfire and No Man’s Sky updates. We got a look at the next big update for Hello Games’ galactic sandbox, No Man’s Sky VR, and it adds a tremendous sense of scale to the game – in terms both large and small. Some players will now be forever skeptical of whatever Hello Games is working on, but No Man’s Sky has blossomed into something grand – and whatever this new game is, it’s apt to be similarly fascinating.